The triangle is highly mystic. Effect on us: You feel something – the mental state – which is affecting the body is taking a particular route – for example – lungs and intestine. Cause: We think it is because of this event or because of this person etc. Solution-finder (the Subconscious/Inner Mind): it is beyond our rational conscious mind to think that our own subconscious or the shadow mind has invited this event or person. In quantum picture of events, that which creates the block provides the solution. 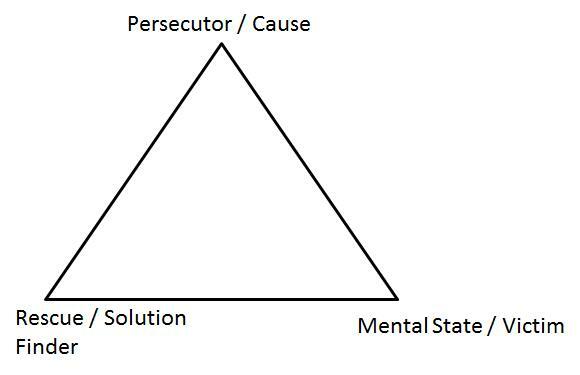 That is the meaning of the triangle, connecting the cause, effect and solution finder.